Disaster Relief,Repair and Restoration - "One Call Does It All! All Trades Contractor"
*Your Single Source Solution Service Provider for Disaster Relief, Repair, Remediation and Restoration Services from A-to-Z. *All Trade Services Contractor. One Call Does It All ! 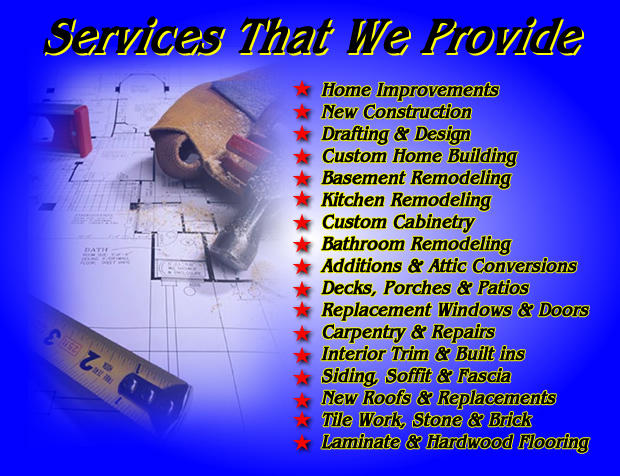 Complete Service, Remodeling and Construction Company. *Finally! All of Your Services in One Place. *Home and Business Services. Residential and commercial. *Disaster relief, repair, remediation and restoration services from A-to-Z. *Distressed property relief, repair, remediation and restoration services from A-to-Z. *Water damage relief, repair, remediation and restoration services from A-to-Z. 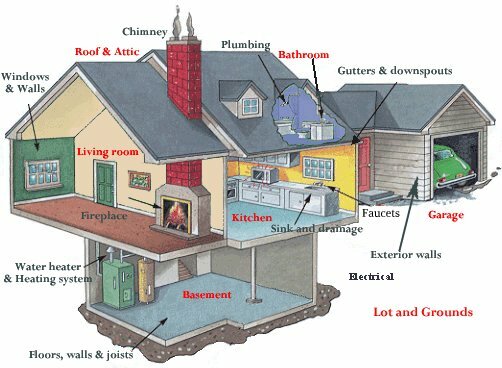 *Fire and smoke damage relief, repair, remediation and restoration services from A-to-Z. * Storm damage repair relief, remediation and restoration services from A-to-Z. *When disaster strikes-- natural and otherwise-- we can help make the aftermath a lot less stressful. With a can-do attitude and a network and a team of experts in every aspect of property restoration, we can have you back in your home or business in record time. 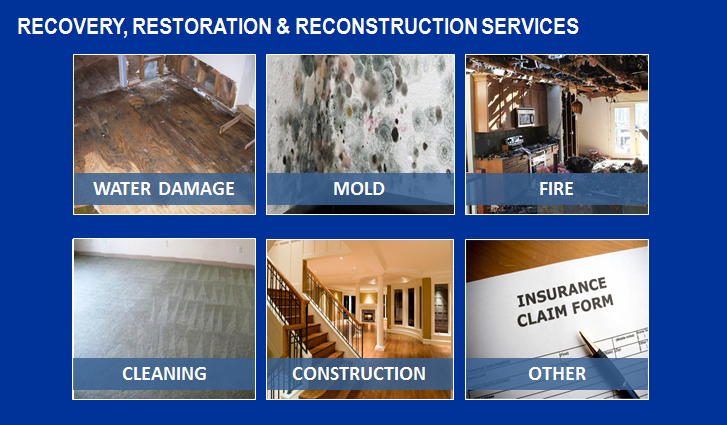 *We offer complete reconstruction and restoration services from A-to-Z. After mitigation and remediation is completed. We can engage our team to help with full repairs and construction. *Cleanup services from A-to-Z. We clean-up all types of surfaces. *Dry-out services from A-to-Z. We Dry-out everything. *Environmental cleanup, remediation and restoration services. *We will give you an accurate assessment of the situation and assist you in choosing the best steps toward remediation and restoration. *We have a network of industry licensed trained professionals to handle almost any problem that needs to be solved. We are the solution specialists. *We utilize the latest technology and equipment and a network/team of the best trained professionals in order to ensure that no matter what the cause, your home or building will be completely ready for re-occupation as quickly as possible. *We are able to develop an accurate remediation plan as well as help identify the cause and origin of the problem and recommend preventive measures. *After the inspection and review is complete, we will review our findings and provide a written report and a written proposal for professional remediation and/or restoration. Scopes of work can vary significantly depending on the size of the affected space, cause of the problem and other issues. *Inspector required repairs and corrective actions from A-to-Z. *Home inspection punch list and corrective actions from A-to-Z. * Building inspection punch list and corrective actions from A-to-Z. * Building damage repair, *dry rot damage repair, *termite damage repair, *pest damage repair,*water intrusion damage repair,*structural repair, *foundation repair,*crawlspace repair,*basement repair *roof repair,*siding repair, window repair, door repair *wall repair* floor repair,* ceiling repair*insulation repair,* finish repair* carpentry repair *structural repair, *plumbing repair ,* piping repair ,*mechanical repair,* heating repair, *ventilation repair, *air conditioning repair,* electrical repair,* lighting repair, *environmental remediation,* mold remediation,* lead remediation, *safety repairs,* Fence and gate repair. building damage repair, water intrusion damage repair, flood damage repair, smoke damage repair, fire damage repair, wind damage repair, storm damage repair, earthquake damage repair, environmental damage repair, mold damage repair, finish repair, carpentry repair, structural damage repair, roof damage repair, siding repair, window repair door repair, ceiling damage repair, floor damage repair, and wall damage repair,* fence and gate damage repair. *Code compliance correction violation services:* Building codes, *structural codes,* seismic/earthquake codes,* fire-* life --*safety- codes, *mechanical codes,* HVAC codes,* heating codes,* ventilation codes, *plumbing codes,* electrical codes,* lighting codes, *ADA handicap accessibility codes, *egress codes,* health codes,* insulation codes, *energy codes. *All types of Real Estate Property Preservation –Re-habiltation- Restoration- and -Renovation -Services.